The spectacular will inspire guests to seek out and find their own “Happily Ever After” by showcasing some of the greatest adventures Disney characters have taken to achieve their dreams. The show will feature the latest fireworks and pyrotechnics and original animation, plus a heart-tugging original score. And thanks to the inclusion of state-of-the-art projection mapping technology, more Disney characters than ever before will be featured in the show, including moments from “Moana,” “Brave,” “Big Hero 6,” “Zootopia,” “The Princess & The Frog,” “Aladdin” and many others. Here are some more important details about the new show. “Happily Ever After” will NOT replace the current “Once Upon a Time” projection show. They are meant to compliment one another. However, this show WILL replace Wishes Nighttime Spectacular. Wishes will have its final performance May 11, 2017. Wishes debuted at Disney World in 2003 and is a fan favorite. Many Disney fans feel that after 14 year, it’s time to update Wishes. However, many other fans simply can’t imagine ending a day at Magic Kingdom without Wishes fireworks. 6 – Tinkerbell has been flying for a long time! The evening fireworks show has made its changes over the years, including the songs and special effects that are used during the show. One thing that seems to always remain is Tinkerbell’s flight from the castle each night. She took her first flight on July 4th, 1985 and has been flying almost every night (weather permitting) ever since her first flight. We have a feeling that special moment during the nighttime show will continue for many years to come. She really is a real, and really does “fly” across the Magic Kingdom over into Tomorrowland. She is lit up in the evening sky so that you can see her make her flight. Her flight is about 850 feet and takes about 30 seconds to complete, which is a fairly fast flight! 5 – It’s a costly performance for the Magic Kingdom. As you likely already know, the show is performed every single evening at the Magic Kingdom (barring inclement weather that would prevent the show from being performed). Each performance costs Disney around $33,000 to put on the much-anticipated show for all of the guests that are anxiously waiting. If the show, or the holiday variations of the show, were to be performed every single night as planned, that makes just over $12 million spent on just this show each year. It is crazy to think about that much money being spent every single night, not counting all of the other operating costs to keep the park going. 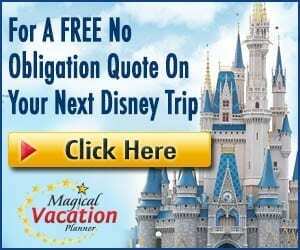 Disney may make a lot of money, but they definitely spend a lot of money, too! 4 – Fireworks have been a part of Walt Disney World almost since the opening. The Magic Kingdom first opened on October 1, 1971. The very first fireworks show that was performed was a show that was performed in dedication to the opening of the Disney’s Polynesian Village Resort. The fireworks were extremely popular and thus was the birth of what grew into an amazing Disney tradition at Walt Disney World. The show took on various themes and groupings of songs and characters since then and has made changes over the years, but one thing has remained constant…. The guests love it! 3 – Disney was awarded a patent in 1994 that would decrease the environmental impact. 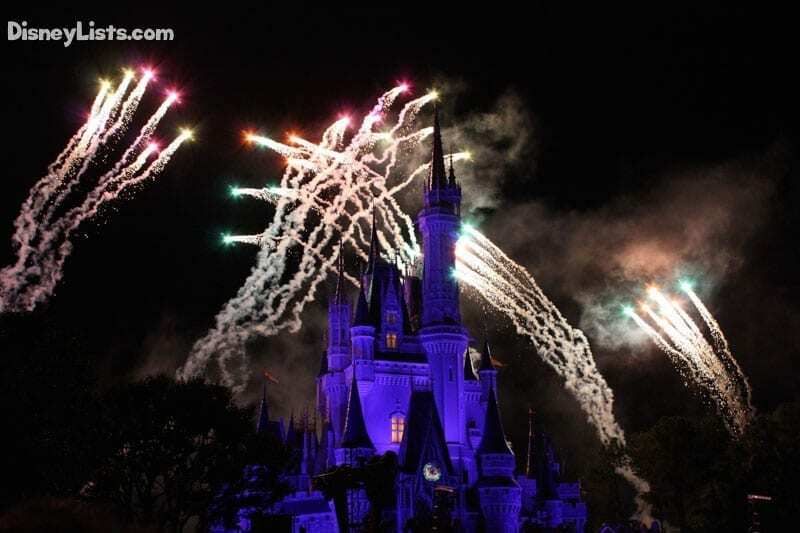 In January of 1992 Disney filed the patent request for their fireworks display system. The purpose of the system would be to launch the fireworks in such a way that the particles from the fireworks would become small flakes that wouldn’t create trash or waste that would litter the area or cause other hardships to the natural area. 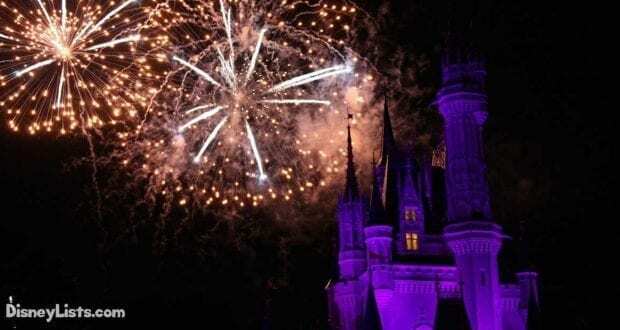 The patent was finally approved in August of 1994 and the system was incorporated into Disney’s fireworks system and remains the basis of the system that is used today. The first show that debuted in the 1970’s was known as Fantasy in the Sky. The show ran under this name and format until 2003, which is quite a long run for the show! It was also in 2003 that Wishes began and has been the star of the evening at the Magic Kingdom every night ever since. The music, fireworks, voices, etc. all changed with the switch over to Wishes. Wishes is also many times larger than Fantasy in the Sky ever was, and is also around 5 minutes longer than the duration of the original show. Since Fantasy in the Sky made it around 30 years, it will be interesting to see if Wishes also makes it around 30 years before the songs and format change. 1 – The fireworks aren’t all shot off within the Magic Kingdom. As guests look upon Cinderella’s Castle they see the fireworks explode in the sky all above and to the perimeter of the castle. What they may not realize is that all of the fireworks aren’t actually shot off form within the Magic Kingdom, or even all from the castle. There are fireworks that are shot of from behind the castle as well as from buildings around the Magic Kingdom. There are also fireworks that are shot off from behind the Magic Kingdom that are in areas that aren’t accessible to guests. When you watch from the Magic Kingdom, you don’t realize just how big the display is. If you watch the show from outside the parks, you get a better appreciation for just how large the display and high and wide it reaches in the sky. It appears to be larger than the Magic Kingdom, itself.